Marie Osmond Before And After Botox, Brow Lift? Marie Osmond before and after botox and brow lift plastic surgery? 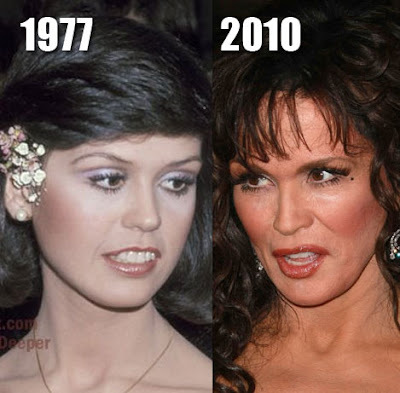 Once again, lets revisit the always entertaining and best looking Osmond sibling, Marie Osmond, as we compare a few more before and after snapshots that showcases what appears to be evidence of plastic surgery. The rumors have been circulating for a few years now, many suggesting Ms. Osmond underwent a brow lift, and at the very least, botox injections, which seems to have limited her natural expressions.